Statistics are designed for politicians, think-tanks, strategists and advocacy groups. But it’s far different for those personally affected by war. 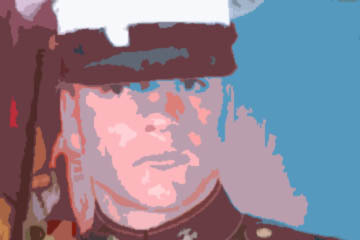 Jonathan Schulze – a solider who committed suicide. His death in 2005 was not attributed to any foreign insurgency. Despite dying in his own apartment, hanging from an electrical cord, it’s hard not to blame the Iraq conflict for his death. By this definition, the Pentagon has concluded that the Iraq war has produced over 34,000 casualties, 4,100 of which were fatalities. The most ideal setting in any urban conflict is to limit casualties only to those carrying guns. Unfortunately, history has never shown this to be the case. With over 100,000 Iraq and Afghanistan veterans being granted disability by the Veterans Affairs (VA), men like Mark Benjamin, writer for Salon.Com, have begun to question how the pentagon classifies a casualty. Benjamin says that these disability claims may indicate a much larger casualty count, and are the basis for AntiWar.org’s estimate of 100,000 casualties. But veterans’ benefit awards do not provide a clear picture of which veterans are directly affected by the conflict. While the Pentagon may overlook a finger when reporting casualties, the VA may award benefits for non-combat related hearing loss, or a back injury sustained in the gym. The only prerequisite is that the injury occurred or was exacerbated during military service. While one could believe that there are 70,000 unsung casualties, scraping to get by, one could just as easily surmise that 70,000 are considered partially disabled due to a botched bench press. The Department of Veterans Affairs does not make individual case details readily available. The dead and wounded aren’t only from bullets and bombs. Soldiers such as Captain Gussie M. Jones, a medic who volunteered in 2004, die from non-combat causes. Though still under investigation, Gussie is believed to have succumbed to a heart attack. She was 41. To date, over 700 of Iraq’s fatalities have been listed as non-hostile. Non-hostile, non-fatal wounds are not tracked by the government. In the Iraq conflict, civilians have continuously suffered losses at the hands of insurgents and coalition troops alike. The question of how many civilians casualties inflicted can elicit fuzzier answers than troop casualties. There is no reliable way to track the number of civilians that have died due to the conflict. This has given rise to a variety of numbers that are easily bent in either direction to feed political means. The Lancet published a study by John Hopkins University and Al-Mustansiriya University in 2006 that placed the Iraqi civilian death toll between 426,369 and 793,663 since the start of the war. Many have attacked the study on two separate occasions for lacking the hallmarks of good research. This study does not differentiate security forces and police death from their numbers. On the other end of the spectrum, some organizations try to use only news reports to derive an accurate estimate. Perhaps the most chilling number about Iraqi casualties doesn’t come from the Pentagon, but rather our accounting offices. The Associated Press currently 31,245 dead and 35,436 wounded between April of 2005 and March of 2008. The Iraq Coalition Casualty Count (ICCC) estimates 42,563 based on news reports in the same time frame, but differentiate security forces from regular civilians. Perhaps the most chilling number about Iraqi casualties doesn’t come from the Pentagon, but rather our accounting offices. In instances of accidental death by American forces, the Foreign Claims Act allows for a token payment to the surviving family, usually not in excess of $2,500. As of early 2007, over 32 million dollars in such payments were made, not including condolence payments made at the discretion of unit commanders. In a best-case scenario, that’s 12,800 “Oop’s,” that cost a life; war does not typically operate in best-case scenarios. There are other numbers to consider, particularly with relation to our history of warfare. In World War Two, for example, the pentagon reported as total of 405,399 deaths and 671,846 “not mortal” wounds. Though the number is large compared to the current conflict, the ratio is most intriguing. By the end of that war the ratio was little more than one wounded for every one that came home in a body bag (or not at all). In the Iraq conflict over 7 come home wounded. Does this cheapen the cost of war? Or does it create a larger base for dissent? Plato said, “Only the dead have seen the end of war”, but the wounded might get recycled once they recover. Can we justify further conflict simply because fewer have died now than in similar scenarios? The only consistent facet of casualties seems to be their ability to support a cause. 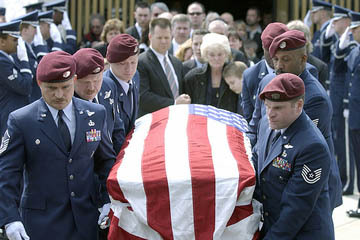 Anti-war activists will find no shortage of flag-draped coffin pictures and disgruntled vet quotes to support a pullout. Pro-war advocates will dismiss casualty numbers, finding pictures of smiling Iraqi children posing with American soldiers as proof that freedom is taking hold. Some-such as Gerard Alexander, associate professor of Political Science at the University of Virginia-will even argue that more people have been saved by the ousting of Saddam Hussein than have been collectively killed. At the end of the day, though, our views on war, death, pain and suffering are shaped by a single number. Ten thousands stories are never as horrifying as the one we experience for ourselves. The friend, the colleague, the schoolmate, the battle buddy, the spouse, the parent or-perhaps the worst-the child that has suffered from this conflict will haunt our views for generations. Ten thousands stories are never as horrifying as the one we experience for ourselves. Thomas McDonough of Minnesota earned one of these gold stars when his son, was killed in action. He now campaigns in support of the war as a member of Vets for Freedom. Cindy Sheehan also bears the weight of a gold star. The death of her son, Casey Sheehan, prompted numerous peace protests, ranging from campouts in a ditch outside of President’s Crawford, Texas ranch, to her chaining herself to the fence of the White House. Today, she seeks to replace Nancy Pelosi as the congressional representative for California’s 8th district, citing Pelosi’s inability to successfully impeach President Bush. It seems that tallies, semantic arguments and statistics are designed entirely for politicians, think-tanks, strategists and advocacy groups. No one probably thinks of Jonathan Schulze’s daughter, Kayley, when they weigh 4,100, 40,000 or even 400,000 casualties. For those personally affected, the tally will never really get higher than that one, nor will it ever have to. 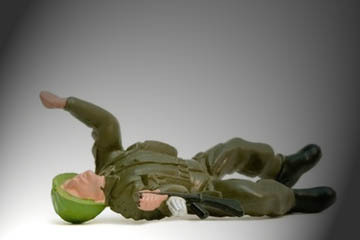 How do you define a casualty of the Iraq war? Share your thoughts in the comments!